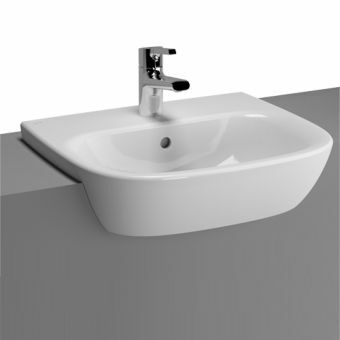 The Ideal Standard Concept Sphere Semi-Countertop 55cm Basin works well in any bathroom environment, whether it's a busy family bath or a luxury shower room. 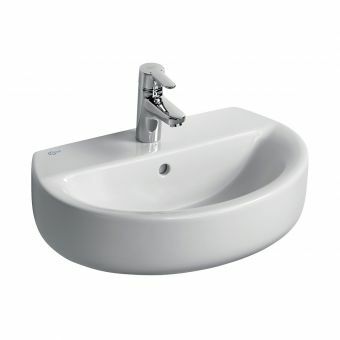 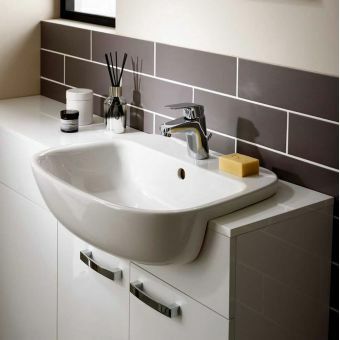 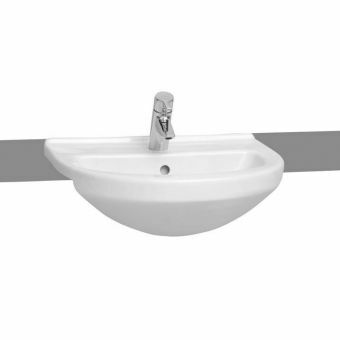 This Ideal Standard wash basin measures 550 x 550 x 140 mm making it an easy fit for even smaller rooms. 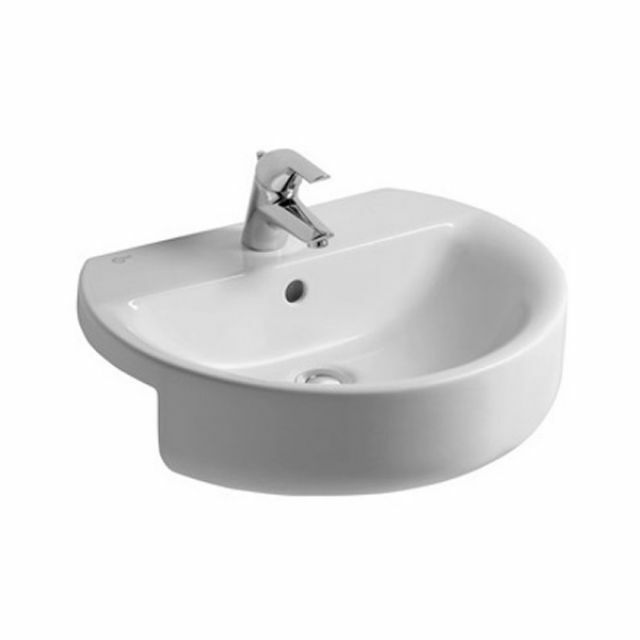 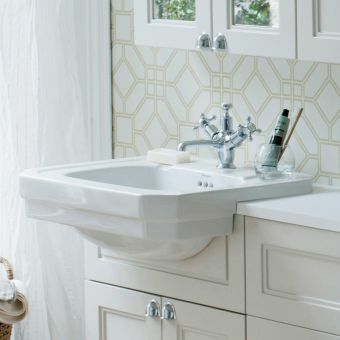 Crafted from vitreous china, this wash basin is sturdy and sure to last for years to come. 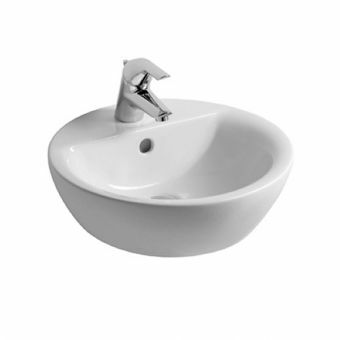 The strong, white finish resists chipping and maintains its factory gleam. 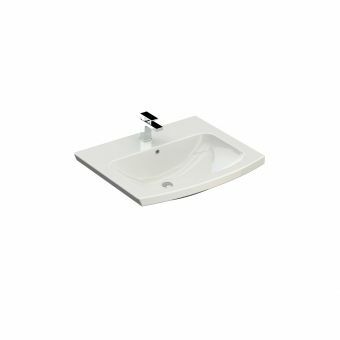 This Ideal Standard wash basin comes with one or two tap holes and fits on the front of most bathroom furniture fixtures with ease. 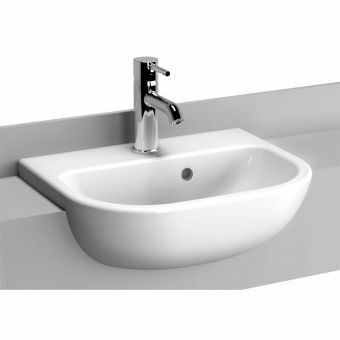 Tap and waste supplies are not included with this kit. 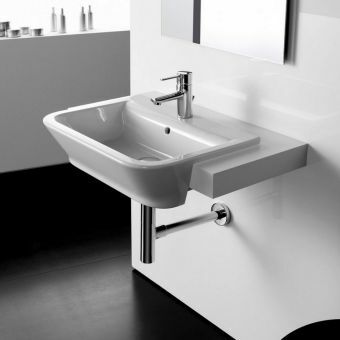 The Ideal Standard Concept line combines sleek curves with scooped basins for a versatile look that offers high-quality construction and timeless style.